Notes **If purchasing Range Marks; Please provide the details under the 'Customer Notes' section at Checkout. 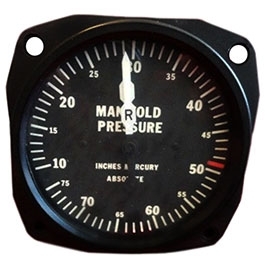 United Instruments Manifold Pressure Gauge 6112D. 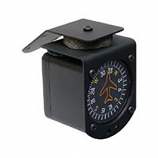 The United Instruments Manifold Pressure Gauges are notorious for being some of the best built gauges on the market. These units are used on aircraft to indicate the absolute pressure of the aircraft's engine intake manifold in inches of Mercury Absolute. 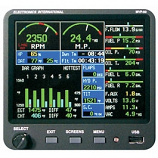 Model 6112D is 3 inches in size with a single engine. This United model has a range of 10-75 In Hg with a clean Black & White design for the dial markings, and may be custom range marked upon request. **If purchasing Range Marks; Please provide the details under the 'Customer Notes' section at Checkout.